Soumya Hary is about to have her first baby. “We don’t know if we’re having a boy or a girl. We’re keeping it a secret,” she said. During her pregnancy, Soumya, 31, has attended antenatal appointments at Marrickville Health Centre. 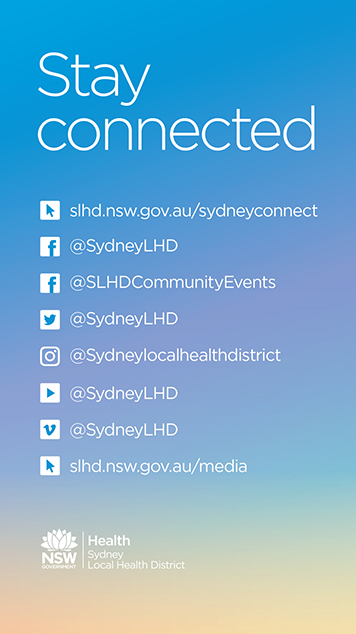 Sydney Local Health District has begun running a Midwifery Antenatal Outreach Clinic from the Centre, alongside the Child and Family Health Clinic, to provide antenatal care to women in the community. “I live nearby. It’s just 10 minutes from here. It gave me an opportunity to exercise as I walked from home to the clinic. It was convenient for me,” Soumya said. 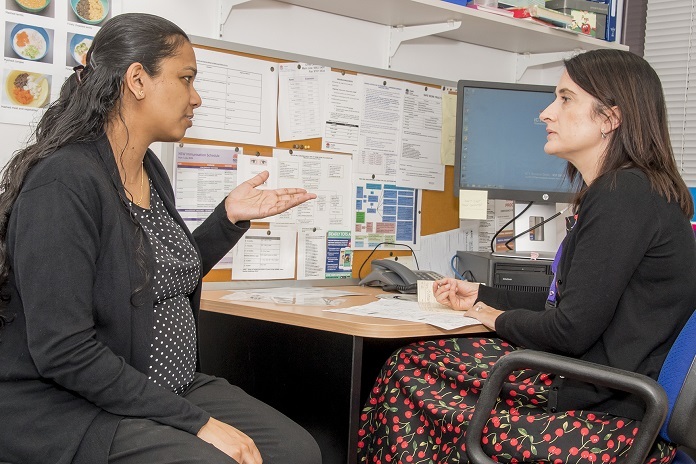 The clinic – and another at Croydon Health Centre – was set up after a survey found nearly 80 per cent of women at RPA’s antenatal clinic were interested in attending a clinic in the community for their antenatal care. During regular consultations with her midwife, Soumya has a physical check-up and her baby’s growth and wellbeing is assessed. She has built a meaningful relationship with her midwife Vanessa Sleet. “I was able to see the same midwife every time. She knows my history and how I have been progressing. There’s a level of trust that builds when you see each other each week,” Soumya said. She also felt comfortable seeking advice. “I could ask Vanessa questions if I had any doubts. “I was feeling tired at times during my pregnancy so I asked Vanessa about it. She suggested that I have my iron levels tested. She gave me the paperwork so I could do the test and she went through the results afterwards,” Soumya said. Vanessa runs the clinic at Marrickville every Friday. “After the first or booking appointment at RPA Hospital, and if the pregnancy is considered to be uncomplicated, women are offered the option of attending a midwifery outreach clinic for all or some of their antenatal care,” Vanessa said. “Because you see the same midwife there’s a continuity of care which is associated with better outcomes for the mother and her baby. We’ve received such positive feedback from women since the clinics have started. She’s also able to chat to soon-to-be new mums about what lies ahead. “There’s the education side too. We discuss antenatal classes, what to expect in labour, breastfeeding and settling your baby,” she said. Expectant mums are also linked to support services offered at Child and Family Health Clinics after their baby is born. “Women who choose to attend outreach clinics can expect the added benefits of being closer to home, travel less and spend less time waiting in a busy hospital clinic,” Marion Innell, a Clinical Midwife Consultant who oversees the clinic’s operation, said. “Because the clinics are based in the community, women also have the opportunity to learn about what other child and family health services are available for them locally after the baby is born. “Outreach midwives are part of the maternity care team who regularly work alongside obstetric doctors and other specialists at RPA. “If there are any concerns during the pregnancy, the midwife will consult directly with one of the team at the hospital and organise further care or consultation if needed,” Marion said. The Midwifery Outreach Clinic at Marrickville Health Centre is held each Friday and the clinic at Croydon Health Centre is held each Monday. There are plans to further expand the Midwifery Outreach Clinics this year.